"To hell and back." 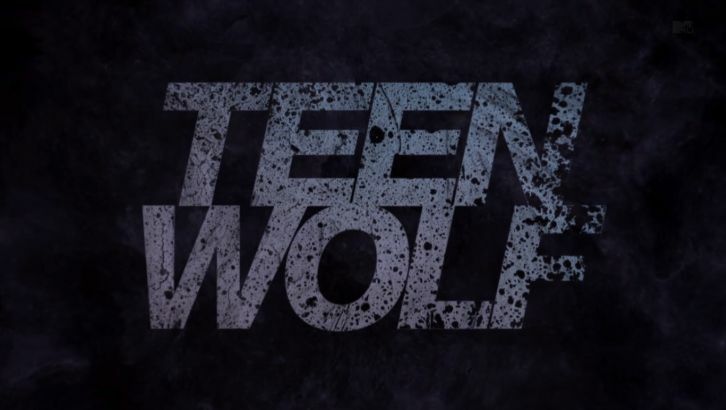 That's not only the Teen Wolf season 5 motto, but it describes how some fans have been feeling as well. The show has always generated strong reactions but 5A was particularly rough as Jeff Davis broke our favorite characters down, severing the pack. In essence, he took us all to hell and now the characters need to claw their way back. They have a long way to go since almost every relationship on the show was shattered. 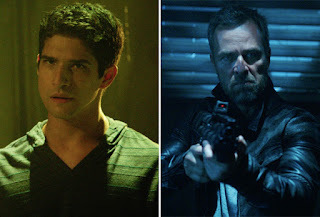 When we last left off, Theo killed Scott but Mama McCall revived him by the sheer power of her awesomeness. (It's a superpower, folks. In fact, it's the only superpower on the show that works 100% of the time.) Scott and Stiles broke up in one of the most heartbreaking scenes of the series yet while Malia and Stiles broke up in such a backwards way that some fans weren't sure if they had or not. To clarify, they did. 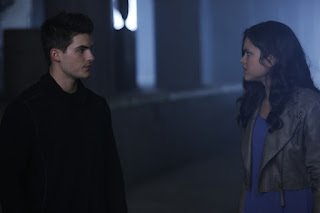 Instead Malia partnered up with Braeden to take down her mom, who in all fairness, tried to kill Malia first. Kira left to find her inner peace, or at least temper her inner fire fox while Lydia and Sheriff were both left bleeding on the cold, hard ground. After beating the will out of Scott, Liam cradled Hayden's corpse. Audiences didn't get to grieve with him as Hayden was dead for about 2.2 seconds before Theo resurrected her and three other useless newbies to create his own pack. Breaking tradition, the steampunk scientists also survived to wreak bug-voiced havoc in 5B. So where does that leave a hapless Teen Wolf fan? With hope. The season 5B premiere has a lot to offer. For one, there is far less filler than there has been throughout season 5. For the most part the pacing is on point and the action zips from one character to another. Better still, it doesn't feel like they are throwing a multitude of plots at the audience all at the same time. Last season felt frenetic, almost berserker in nature. Things were going quickly but they were not necessarily going anywhere. In the midseason premiere, the goal for the good guys is focused: Save Sheriff. Save Lydia. Period. To do so, the pack (read: Scott, Stiles, and Malia) also has to work together despite hard feelings and it is here where most hope can be found. Although 5.11 makes clear that there is no instant cure, Scott and Stiles have more screen time together than most of 5A put together. Scott in particular is insistent that they combine their skills to find a solution just like they have in the past. 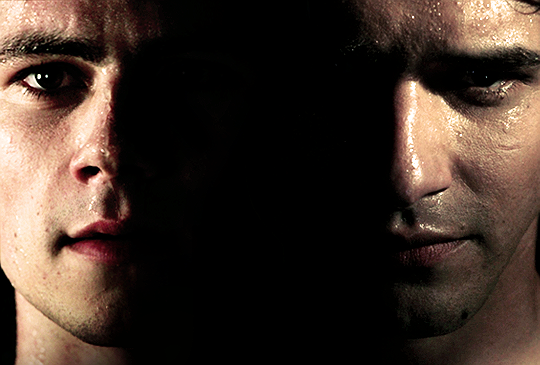 For those who have been missing the bromance that is the foundation of Teen Wolf, it's a real start. There's plenty of Mason and Liam bromance too and Mason gives one of the better speeches to talk Liam through his own hard time. All in all, the midseason premiere gives me hope that our heroes will indeed get back from the hell Jeff Davis left them in and maybe come out of it stronger people, stronger leaders, and stronger friends. Do the steampunk scientists have a plan and will that plan pay off? Does Hayden remember what's going on or not? Exactly how many concussions can one group get in one episode? How can more back story on Theo possibly make less sense than what we already know? Is Valack going to end up being the good guy? When will ALL of Team Good Guys be united and back to pre-5A madness? Who is the last chimera? Will Beacon Hills ever see the last of its insurance woes? 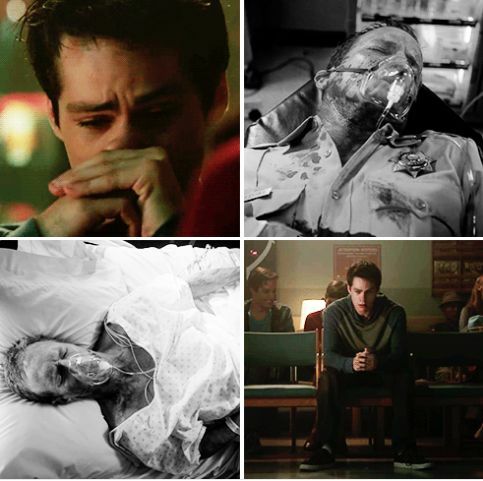 Best Scene - Scott won't let Stiles…. Best Back Story - Theo killed his sister because he wanted….. Most Wonky Werewolf Powers - Scott, who doesn't…. "Hey, you've still got me." "I am starting to seriously think about a transfer." "I need to learn to shut up." "Knowing something is different from understanding it." "She's a pretty little thing, isn't she?" "That pretty little thing could shatter your skull with her voice if someone decided to teach her how." "She's got a hole in her head. It's not a good look for anyone." "We kind of broke up I guess." "Yeah, we kind of broke up too." "We need to find this kid." "Isn't that a little dangerous, especially since he almost killed my kid?" "We survived an alpha pact, a dark druid, professional assassins. We can survive dread doctors and chimeras too." "You can't do this alone, okay? You need me. You need all of us." Teen Wolf 5B premieres Tuesday, Jan. 5 on MTV at 9/8 C. Don't miss it. Screencaps from MTV Teen Wolf Tumbler, TV Line, and Pinterest. One part teacher librarian - one part avid TV fan, Dahne is a contributing writer for SpoilerTV, where she recaps, reviews, and/or creates polls for Teen Wolf, The 100, Grimm, How to Get Away with Murder, The Librarians, and others. She also runs the annual Character Cup. She's addicted to Twitter, live tweets a multitude of shows each week, and co-hosts The 100 "Red-Shirted" and Teen Wolf "Welcome to Beacon Hills" podcasts for Southgate Media Group. Currently she writes a Last Week in TV column for her blog and SpoilerTV. ~ "I speak TV."